Jakarta. Switzerland and Indonesia launched an economic cooperation and development strategy for the 2017-2020 period on Friday (14/07), renewing the European country's commitment to support economic development in the archipelago for the next four years. The Swiss government – through its State Secretariat for Economic Affairs (SECO) – is supporting middle-income countries such as Indonesia, Egypt, Ghana, South Africa, Vietnam, Colombia and Peru with grants, technical assistance and capacity building. In Indonesia's case, the country has committed itself to providing a total of 75 million Swiss francs ($77.5 million) for the next four years. The number is subject to change, should the Swiss government see the need to increase it, or if there is an improvement in the European economy, said Martin Stottele, head of economic development cooperation at the Swiss Embassy in Jakarta. "At the request of the Indonesian government, Switzerland intends to significantly increase its support in areas with proven Swiss expertise, including on sustainable tourism and vocational skills development," Johann Schneider-Ammann, head of the Swiss Federal Department of Economic Affairs, Education and Research, said in a statement. 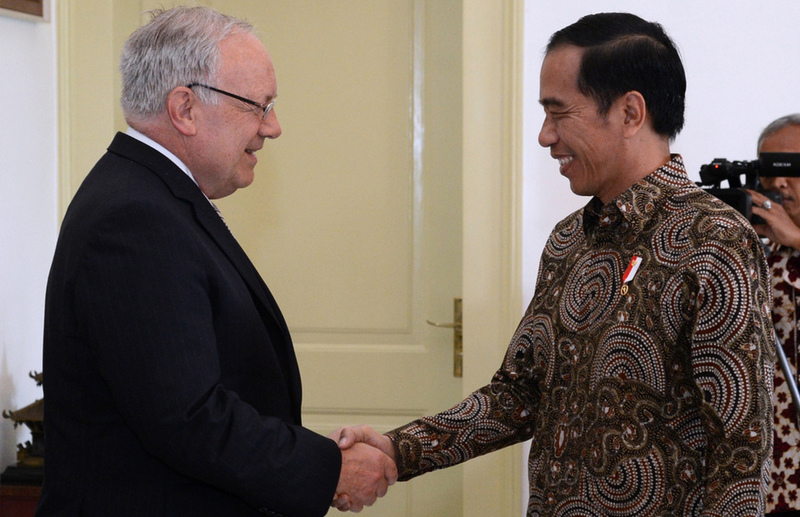 The Switzerland-Indonesia Economic Development Cooperation Strategy 2017-2020 was launched during Schneider-Ammann's two-day visit to Indonesia. During the visit, Schneider-Ammann also inaugurated a new Swiss Business Hub, which aims to help companies and investors from Switzerland access the Indonesian market on the back of rising demand to invest in Southeast Asia's biggest economy. The Swiss Business Hub, located at the Swiss Embassy in Jakarta, will provide advice and business contacts to companies seeking to establish a presence in the country. According to the Investment Coordinating Board (BKPM), Switzerland was Indonesia's 15th biggest source of investment with $45.8 million in the first quarter of this year. Swiss companies invested $346.7 million in Indonesia last year, up 460.6 percent from a year earlier. "The government of Indonesia highly appreciates the continued support of the government of Switzerland," National Development Planning Minister Bambang Brodjonegoro said in the same statement. Bambang said Indonesia looks forward to the partnership to address key challenges, such as creating more jobs, reducing poverty and inequality, and addressing the gaps in access to finance. Between 2013 and 2016, Switzerland partnered with various Indonesian ministries, the central bank, the Financial Services Authority (OJK) and international entities such as the World Bank, International Finance Corporation and Asia Development Fund as part of a similar program to improve public service delivery through the efficient and sustainable use of resources while improving the business climate. There are notable outcomes from the partnership, including better management of the state budget and sustainable production by 165,000 cocoa farmers in the country.